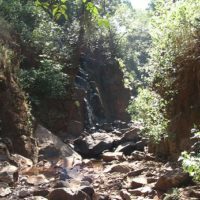 There are quite a few historical evidences on the use of two tulwars simultaneously in a real battle in India. In addition, a certain part of such descriptions are information, which, from a critical point of view, can be regarded as a poetic or mythological glorification of what happened in reality, and of course the description of fighting in such non-standard heroical manner is a glorification.The one of the main moving historical forces in the early modern period of India — Marathas — during the impressive struggle for the creation of its independent state showed many examples of real heroism and sacrifice. They were among the first to challenge the power of the Great Mughals and played one of the dominant roles in the sunset of that Turkic dynasty. At the beginning of their struggle, Maratha encountered with Bijapur Sultanate, the nearest neighbor. 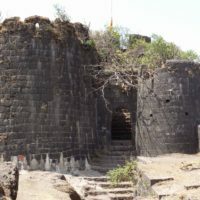 In one episode of this confrontation in 1660, which went poorly for the Maratha, their General Badji Prabhu Deshpande shielded the Shivaji’s retreat from pursuing troops of Bijapur Sultanate. 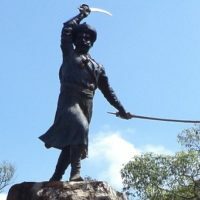 Having occupied narrow mountain pass (subsequently named Pavan Khind — «Sacred Pass») with several hundred Maratha, he held back sultanate’s army of thousands until agreed cannon shots, informing that Shivaji with the main forces of Maratha hid in the nearby fort, had won it on the fly from the enemy who besieged it. The General battled being already wounded and proved himself as an outstanding warrior. 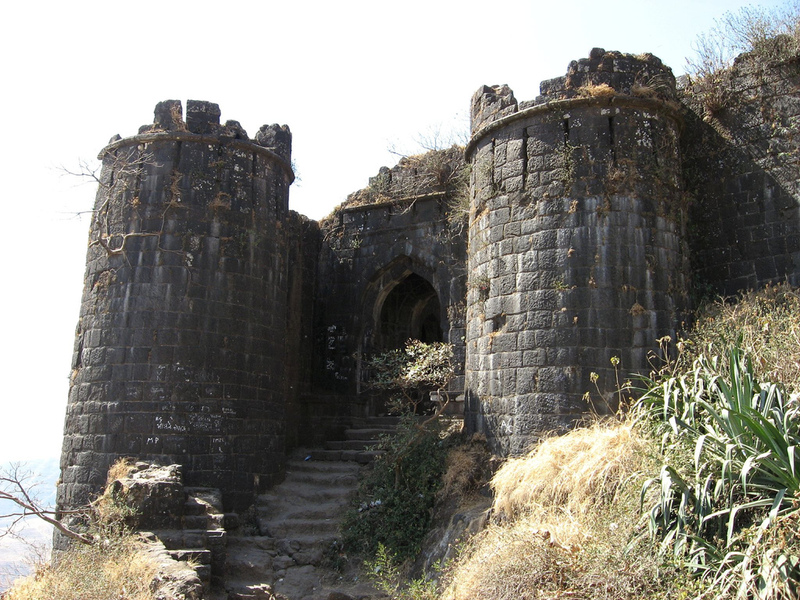 Only a few people of Maratha survived, but the losses of the Sultanate numbered into thousands. According to the tradition, the General fought using two sabres in this heroic episode. Triple confrontation between the Maratha, the Mughals and the Sultanate and the fluid alliances between the three sides emerged in 1665 as united actions of the Mughal and the Sultanate against Shivaji. 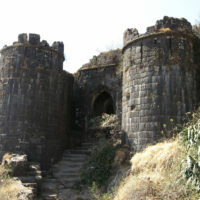 During those actions, the Maratha’s fort Purandar was besieged by Aurangzeb troops under the command of Jai Singh, Rajput General. 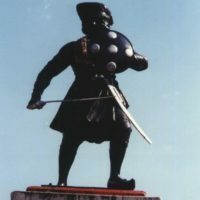 Maratha General Murarbaji Deshpande, protecting the fort, after the Mughal’s cannons destroyed the walls and they broke in, fought in the forefront and proved to be an excellent swordsman. Then, after rejecting the Mughal’s offer to surrender the fort, the General died heroically, rushed into a crowd of enemies. 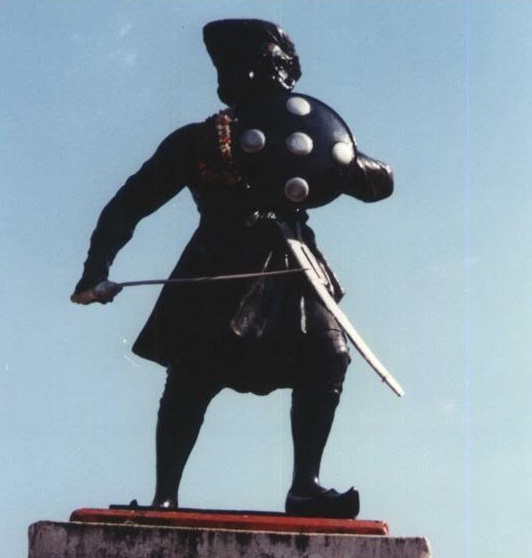 The General monument in Fort Purandar depicts him with two swords. 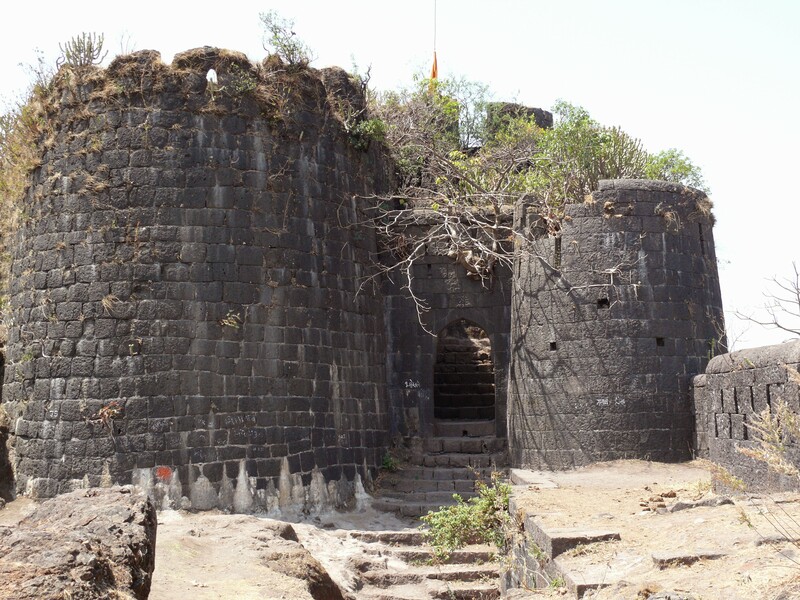 As a result of that extremely unsuccessful campaign for Maratha, Shivaji was forced to accept the peace and give up some of its claims, including surrender Fort Purandar along with twenty-three other forts to Mughals. Peace between Shivaji and Aurangzeb ended in 1670. Aurangzeb, who struggled with the Afghans, reduced his army in Deссan and many of the released soldiers (Indian armies at that time consisted mostly of mercenary) joined the Maratha army. Taking advantage of the fact, Shivaji resumed hostilities and recovered most of the lost territories. 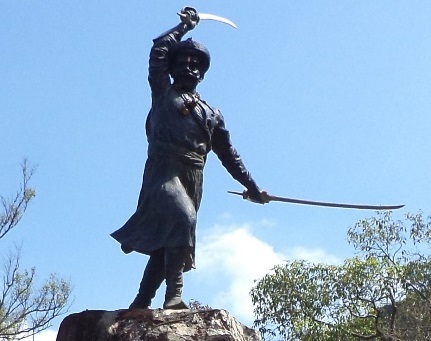 At one stage of this struggle, Maratha General Tanaji Malusare died bravely during Fort Sinhagad assault, protected by Mughal troops under the command of Rajput sardar. According to a common legend, when the shield in the hands of the General was broken, he drew the second sword and fought with two swords. However, there is evidence that the General was more prosaic: he wound cotton fabric for a turban or belt around his left hand in a typical Indian manner, which was frequently used in India both in battles and manhunting on large carnivores. 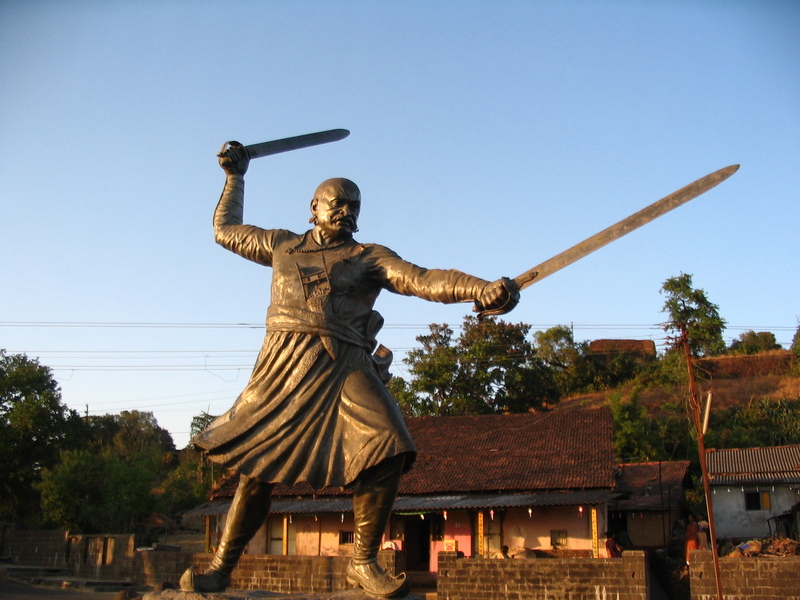 In folk tales all those outstanding Maratha heroes fought using two swords. It’s worth noting that the very fact that heroic swordsmen in heroic stories showed themselves capable to use two swords simultaneously, and, moreover, to use it in a real combat, indicates that such skill at least was known and was not something impossible. In addition, it is well supported by actual military practices, especially since it was Maratha, who played a significant role in emergence and distribution of such practices in Central and North-Western India. Other great Indian warriors of India, Rajputs, had traditional upbringing, implying that a boy should necessarily grow as a great warrior. Since birth relatives tried to determine whether a young Rajput will become a good warrior, trying to see corresponding criteria. One of these signs were left-handedness as well as ambidexterity. It is natural that weapon possession training included the skill of two sabers simultaneously regardless of inborn abilities. 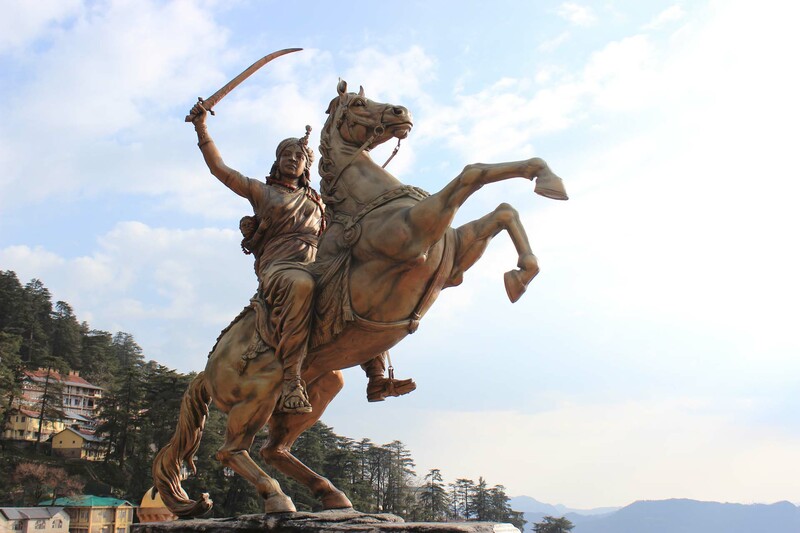 Rani Lakshmi Bai, a heroine of Sepoy Mutiny, made a courageous decision on armed confrontation to the forces of the British East-India Company; as many Rajput women she went through traditional military training. 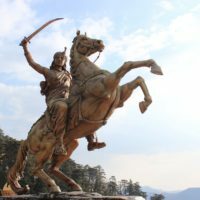 There is evidence of her training in the park, attached to the Palace, where she was often seen galloping, brandishing two sabres and with reins in her teeth. According to the legend, this is how she acted in her last battle in 1858: dressed in men’s clothing, with a young son tied behind her back, when a British soldier from the 8th Hussar Regiment shot her from a carbine without having an idea of who she was. Later, the British, as it happens sometimes, promoted another «ennobled» version of those events, according to which Rani wounded herself with her own saber, and the soldier shot her in self-defense. 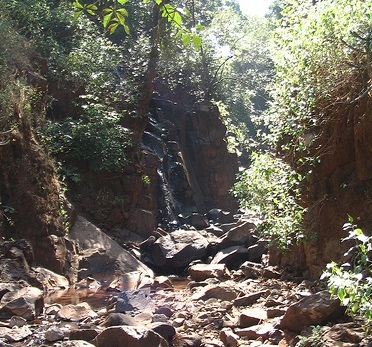 The key battle of the Second Anglo-Maratha War, which became one of the classic defeats of the English army, named «Monson’s Retreat», occurred in 1804. Troops of the British East India Company under the command of British officers and Colonel Monson, consisting of infantry of Bengal sepoys and irregular cavalry, including Rajputs of Kota Principality, invaded the territory of Indore, a Maratha Principality, pursuing the army of its Maratha ruler Yashwant Rao I. When the latter turned his army to attack the British, Colonel Monson decided to retreat, separating the infantry from cavalry, which, according to his plan, had to cover escape. For Yashwant Rao I outnumbered army, which consisted mainly of light Maratha cavalry and units of Pindari, it was not difficult to destroy the rearguard first, and then to make a nightmare to the retreating infantry units. The rearguard under the command of the Irish mercenary Captain James Lukan consisted of 1200 irregular cavalry, 2 cannons and 500 Rajputs. 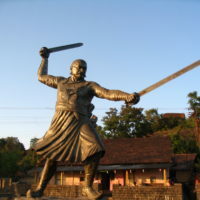 When the British troops crossing the river, and Maratha troops began to reach the retreating battalions of Monson, Captain Lukan, dismounted his squad, tried to stop Maratha, bringing cannons into play. When the munitions ended, he decided to catch up with the retreating battalions of Monson. Light Maratha cavalry prevented this and then Luka, supported by Rajputs, rushed into a counter attack. Almost all of his squad, including his own and the leaders of Rajputs, died. In addition to the above, the actions of Rajputs made such an impression that later the British gave the Governor of Kota Principality additional land as a reward and gratitude. Shortly after the described events miniature, showing that Razhpus feat, was made. 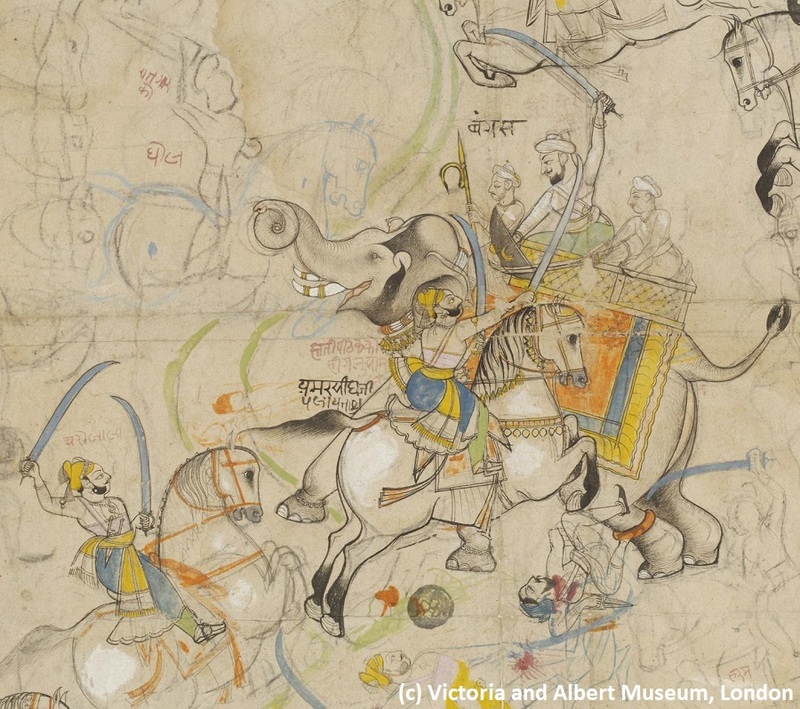 The miniature depicts Apji Amar Singh I, the ruler of Palaitha (a part of Kota Principality), attacking Mohammad Khan Bangash, a General of Yashwant Rao I, sitting on the elephant. 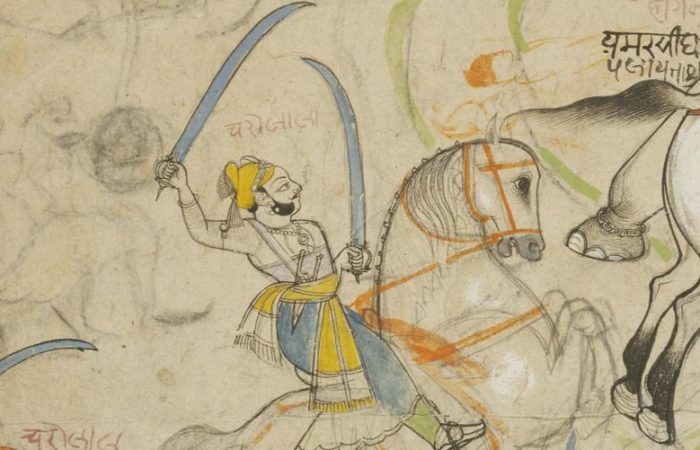 Rajputs are armed with two sabers.